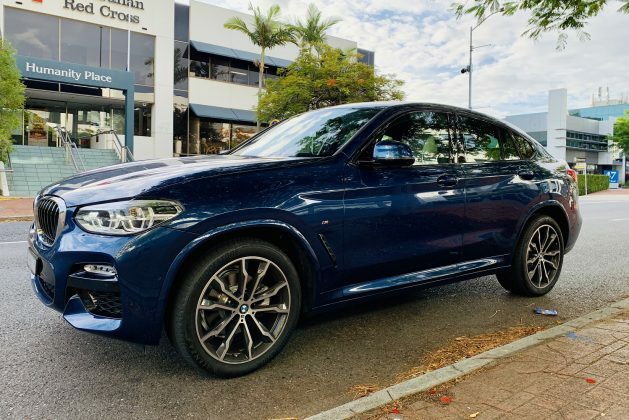 The model range starts with the xDrive20i and xDrive20d, which is the only diesel in the range, and it’s here we find ourselves, with the two entry level models into the intriguing world of the X4. Our petrol test vehicle has a base price of $76,900 before on-roads, but throw in the options we had pre-loaded, including the Innovations Package, metallic paint, 20-inch M alloy wheels, panorama sunroof and upgraded leather and that price pushes northward. In our case it drove the price to $89,150 and that was before on-road costs. Price aside, one of the surprise components of the X4 is its unique look. From a distance it doesn’t look that big, but in reality is as large as most full-sized SUVs. As a consequence, it can be a tight fit in some parking spots. Fear not though, as it has a state-of-the-art surround view and remote 3D view camera system, making parking and reversing a breeze. And that’s a good thing, with virtually zero visibility out of the rear window. It’s a potential deal breaker for those who need rear and side visibility to be a priority. The irony is it’s that coupe-like shape that attracts most people to the X4 in the first place. The low, rakish rear window and lack of decent size rear side windows can make overtaking and changing lanes a chore and we found ourselves hesitating to change direction at speed in case there may be a stray motorcyclist sneaking up beside us. 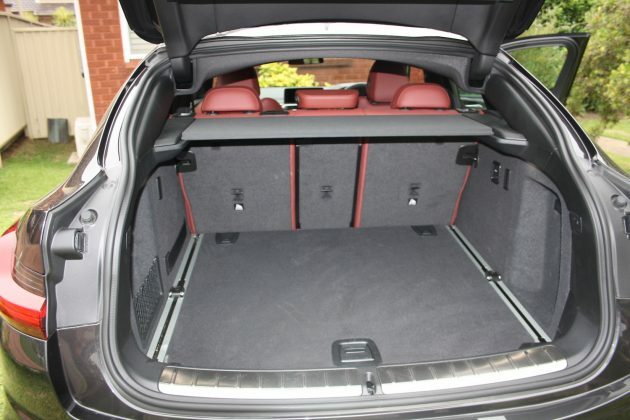 Rear seat practicality is quite simply, a joke. Anyone taller than 172cm will probably not fit in the back seat, thus making that space only really suitable for shorter passengers and kids. 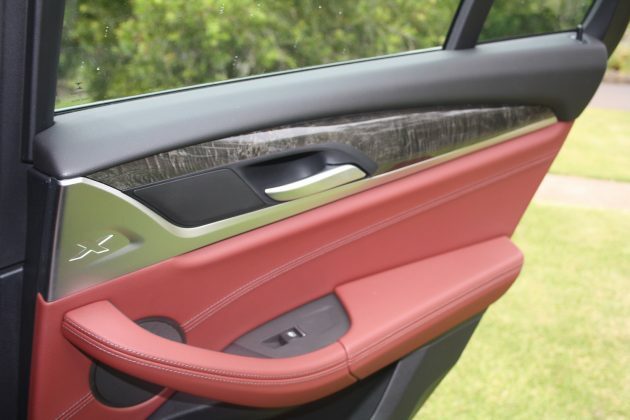 You’ll struggle to find a useful solution to the three rear headrests too. 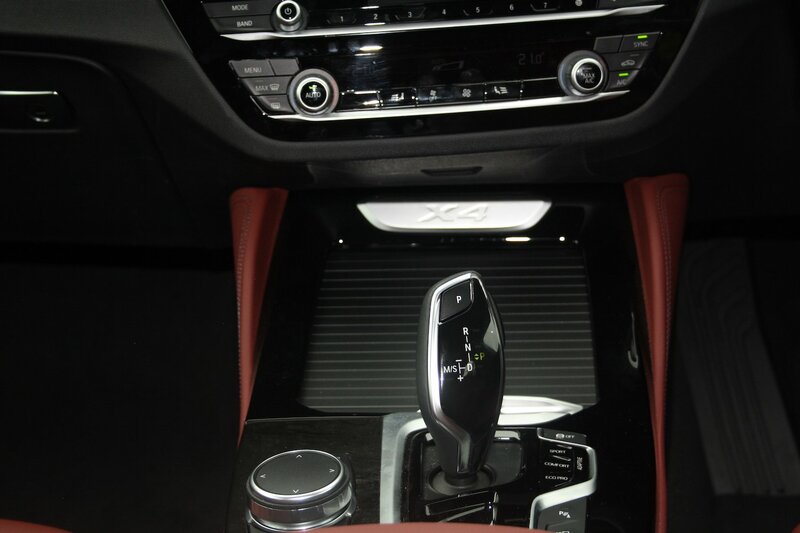 On the road though, the xDrive20i motor is a solid, smooth performer. Powered by the proven B48 2.0-litre 4-cylinder motor, it produces 135kW of power and 290Nm of torque, which is more than adequate in getting the X4 to the speed limit without fuss. Fuel consumption is a combined 8.8-litres/100km, which is quite respectable for a car of this size and a large 65-litre fuel tank means that a pretty decent range can be achieved. We do wonder if the xDrive all-wheel drive system is slight overkill in the 20i though. Technology too is super impressive and near class-leading. It’s powered by the highly acclaimed iDrive6 infotainment system, but we’d definitely grab the optional Apple CarPlay add-on; it’s full Bluetooth and supports apps like Waze and Google Maps. 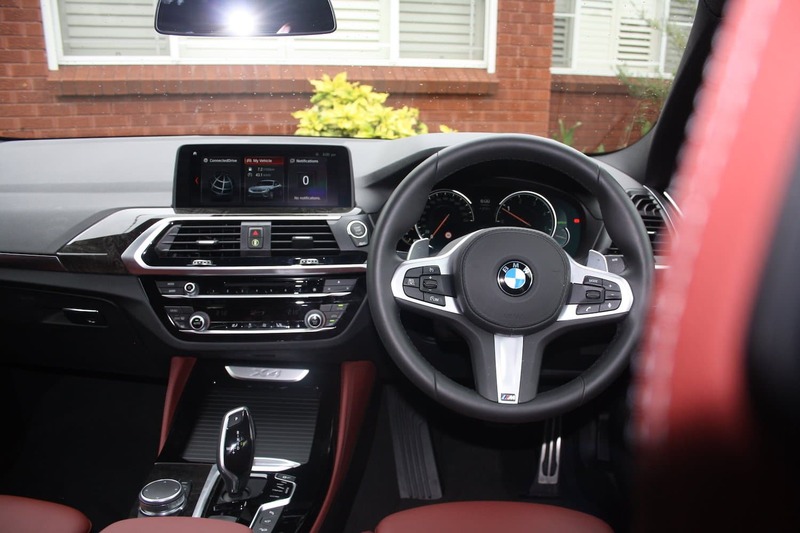 The latest electronic dash is a new direction for BMW and certainly rivals the virtual cockpit from Audi, while the wireless charging pad is another great new feature, although we did find it slow to charge. In the case of the diesel variant, we’re calling it luxurious and much like the petrol version it brings up the same love/hate styling discussions as it is essentially the same vehicle, bar the power plant. The 140kW 2.0-litre 4-cylinder, the only diesel in the range, delivers 400Nm of torque and is paired with an 8-speed automatic transmission. It’s smooth and responsive, and honestly doesn’t feel or sound very diesel at all. It offers three different drive modes including Eco, Comfort and Sport, and while all are smooth, it’s Sport mode that unleashes a throatier, power driven M-Sport experience that offers an excellent driving experience. For a larger car it is also surprisingly economical, with a claimed fuel economy of 5.8-litres/100km, although we could only manage a still super impressive 7.1-litres/100km. We were also super impressed by the Vernasca Tacora red leather seats. Our optioned up diesel variant featured HUD, the latest version of BMW’s exceptional infotainment system, and an automatic tailgate. What was missing though is AEB, adaptive cruise control, and heated or vented seats. As we’ve highlighted with the petrol version already, the rear seat, like in most coupe styled vehicles is just not made to fit tall people, but there is plenty of leg room and luggage space. It’s perfect for a family with kids. Again, like the petrol version, you can choose from a vast range of colours, with our diesel test vehicle coming in Sophisto Grey Brilliant Effect Metallic, but you could also choose Sandstone, Black Sapphire, Carbon Black or our petrol variant; Phytonic Blue. It also comes in Flamenco Red, Glacier Silver and Alpine White. For the record, our xDrive20d was fitted with 20-inch M Light double spoke alloys, and the M Port package. In the specification we drove, it’s priced at $92,150 plus on-roads. 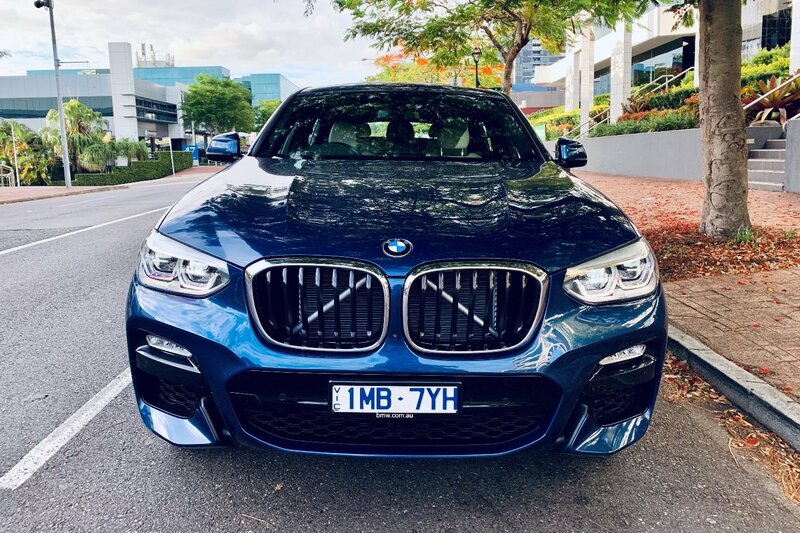 It’s a very impressive niche offering, a cross between and SUV and a sports coupe, and when you couple it with the technology on board, and the BMW style, it’s hard to fault save for the downsides of the design. 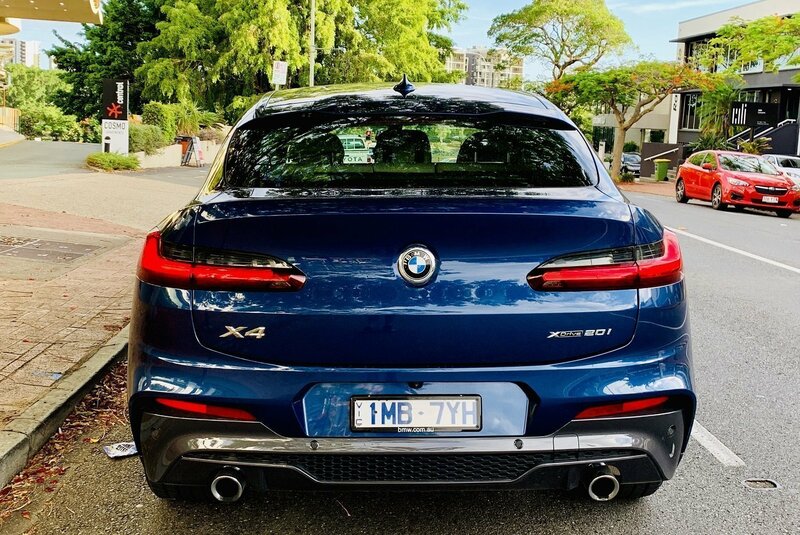 It gets some solid competition from the Mercedes-Benz GLC, Range Rover Velar and Audi Q5; there’s no doubt about that, but the X4 does feel more sports car like in its styling and drive, which sets it apart from the others. The reality is, if you don’t need the back seats for tall adult passengers, then the X4 is a styling oddity that will look great in your driveway and deliver a fantastic physical and technological driving experience. 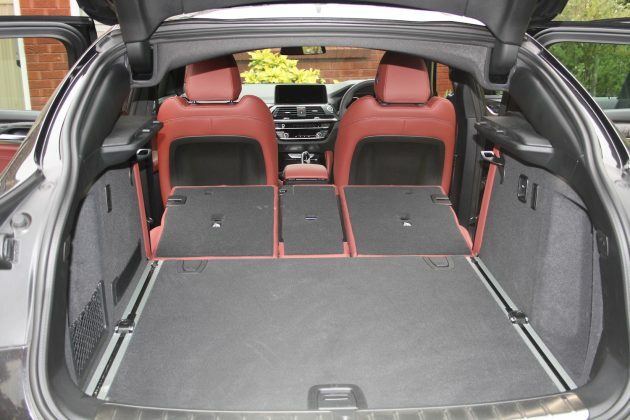 If you do, need decent rear seating we mean, then it’s hard not to point you in the direction of the 2019 BMW X4 xDrive20i and xDrive20d stablemate, the X3 – it was after all, essentially the base for the unique X4. 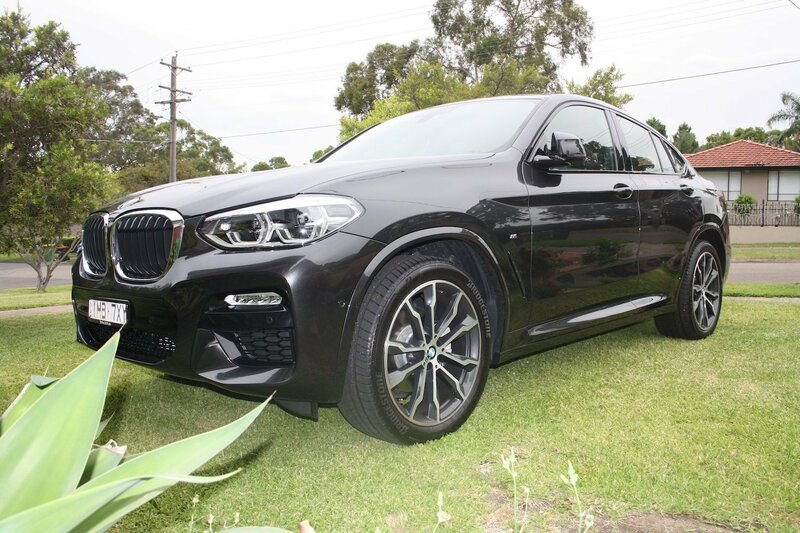 Our test vehicles were supplied by BMW Australia. This article was written in collaboration between author Bernard Wong and fellow writer Tony Cavanagh. If you’d like to know more about the 2019 BMW X4 xDrive20i and xDrive20d, contact your local BMW dealer. Pros - all the usual BMW hallmarks in an SUV body; near class leading driving dynamics; cutting edge technology. Cons - missing some key safety features; minimal rear headroom; limited rear and side visibility; pricey options. Bernard Wong is a born petrol head, with his parents swearing he has had 98-octane fuel running through his veins since birth (his first word was Toyota – no joke!). Bernard spends his days behind excel spreadsheets and financial statements as a bean counter to fuel his car passion, but is still waiting for the day when he gets the call from Red Bull Racing to fill a vacant seat in their F1 team. Like many car enthusiasts, Bernard is also an avid watch collector and can often be seen looking through the watch classifieds in his spare time. SWEDISH car maker Volvo is set to rattle its rivals in the compact luxury SUV market, with the announcement of ultra competitive pricing for the new XC40, set for an Australian launch in April.